Matt Pugh Design Christmas shopping! Matt Pugh Design Newsletter. Latest news and info from Matt Pugh Design. Still time to get your Christmas presents for the modern British design lovers in your life! Order from our webshop by Tuesday the 17th for delivery before Christmas! LAST DAY FOR PRE CHISTMAS SHIPPING WED. 18TH DEC.
WORKSHOP AND STUDIO CLOSED FROM 18TH DEC - 2ND JANUARY FOR CHRISTMAS HOLIDAYS! Many thanks and very best wishes for the festive season! 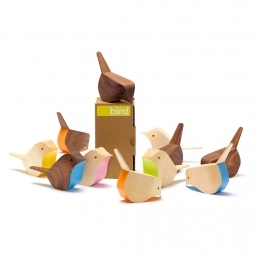 Our ever so popular birds designed by Jacob Pugh and made by hand in his workshop in York. 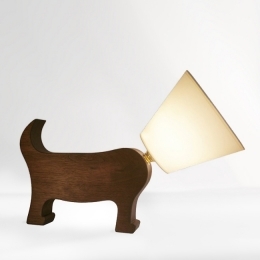 Our classic Dog lamp inspired by Sampson Matt's boarder terrier and workshop mascot! Beautifully finished available in pale oak or dark wood! Perfect for brightening these long winter days! Copyright © 2013 Matt Pugh Design, All rights reserved.